Sinobaler’s fully automatic horizontal baling machine, ranges from 20 tons to 120 tons pressure force, has a processing power of up to 15 tons per hour. Find a complete range of baling press machine related accessories and waste recycling equipment here. 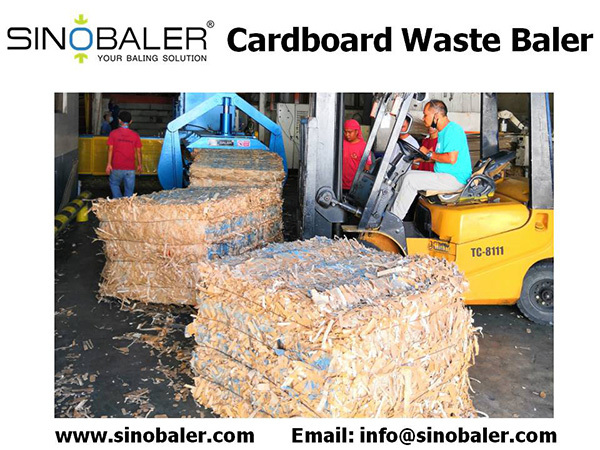 Sinobaler, a pioneer in the waste recycling market, and baler manufacturer, supplies industry-leading, cost-effective solutions to waste reduction. From small stand alone vertical presses to fully automated horizontal lines, we offer a complete range of baling machinery. Top brand hydraulics and electric components, smart design, durability, and affordable prices make our machinery stand out among similar baling press machines. Turn your waste into a new source of profit. Be ready to witness large savings on recycling and waste removal costs. Sinobaler waste specialists work around the hour and across the globe to bring you considerate after-sales service, strict quality standards and long term value for your most challenging waste handling projects. Contact us now and our engineers will help tailor a solution, best fit to your needs. Plant Fiber (Coconut / Coir.. Lifting Chamber / Textile /..
Optimized Heavy Duty for High..
First of all, you need to be prepared to provide the details of the following 3 points: Type of material you will be baling.Different baling machines have their own unique features. Some baling.. Type of material you will be baling.Different baling machines have their own unique features. Some baling machines may be more ideal to bale certain type of waste material as compared to others. Therefore, it is very helpful to be specific about waste material type. For example, if you need a baling press to bale plastic, you should specify the exact type of plastic– i.e. PET bottles? HDPE containers? Plastic bags? Plastic film? Bale size and output requirementIf you have a daily load of 8 tons of old corrugated cardboard, I am sure you would like to have a cardboard baler able to produce bales according to your preferred size for easy storage and container loading, and with an output capacity of 1 ton every hour (assuming you are running 8 hours operation per day). Sufficient space in workshopNo matter how good the hydraulic baling press is, it will not work if you are unable to install the machine on-site. Besides baling machine space, you should also check the ceiling height of your workshop, especially if you are considering adding high hopper to your baler. Once you have the answers for the above 3 points, you can proceed to our intellectual Applications Table to find your ideal baling machine. Just click on the type of material you are baling, and the table will immediately highlight those ideal balers for your consideration. And you can then move your cursor over to those suitable baling equipments to see the output capacity of each baling machine model. Lastly, download the catalogue of your ideal baling machine to review all important specifications, and check detailed dimension measurement. Very easy, very simple. However, if you are still unsure, simply send the answers of the above 3 points to our professional sales representative, and they will be able to provide you with a customized baling solution within 1 working day. Like most industrial equipment, baling machines are manufactured by specialty baler manufacturers located all over the world. It is important for you to find an experienced manufacturer who knows..
Like most industrial equipment, baling machines are manufactured by specialty baler manufacturers located all over the world. It is important for you to find an experienced manufacturer who knows what they are doing, and internet has made buying baling machine much easier now. You no longer need to fly across continents to search for ideal baling press that suits your requirements and budget. But how can you be sure that you have selected the correct baling machine? Buy balers? 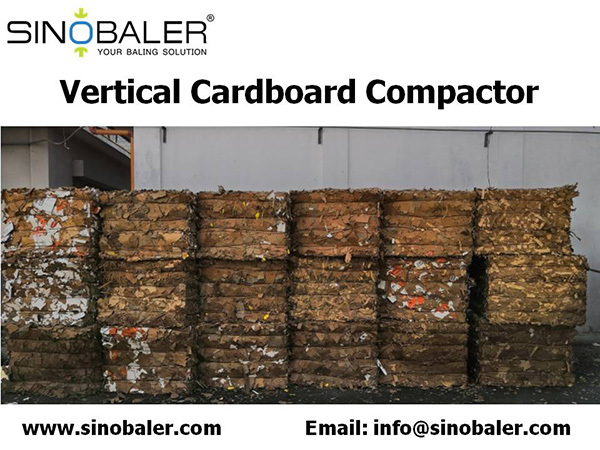 Look no further, SINOBALER has just the solution for you. 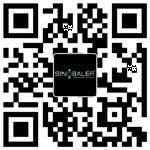 SINOBALER website provides an intellectual Applications Table that can help you narrow down which hydraulic baling presses are ideal to bale the waste material you are handling, as well as matching it to your expected output capacity. We provide several exceptional models of manual and automatic baler machines in both horizontal and vertical style that will satisfy almost any baling requirement. Besides our standard models, we also provide customized baling machine according to your own waste recycling needs. Our baling machines are sold in more than ninety different countries and enjoy a strong reputation worldwide. We boast an impressive record of customer satisfaction and customer service. Just refer to the Testimonials, and you will be able to find out what our customers think of us. We stand ready to answer all of your questions, and to provide the baling solutions just for you. A proper baling machine can help increase a company’s recyclables revenue, and can produce a positive ROI within a fairly short timeframe. You may ask: “what type of company needs a baler?”. Let me..
• An MRF (material recovery facility) certainly needs heavy duty hydraulic baling presses to compact various sorted materials into neat and dense bales so as to achieve maximum container load before shipping it to secondary material processors throughout the world; and the list goes on and on. In short, baling machines are popular with manufacturers and various commercial industries because they provide an ideal waste recycling solution in regards to the disposal of recyclable waste. Materials that were once waste in past decades are now reusable. And almost every conceivable type of waste that can be reused or recycled is either too bulky, or too small and loose to handle..
Materials that were once waste in past decades are now reusable. And almost every conceivable type of waste that can be reused or recycled is either too bulky, or too small and loose to handle efficiently. In order to effectively handle your recyclable waste or resources, you need a baling machine to compress the waste material into bales. Baler takes large quantities of recyclable material (like plastic bottles or cardboard or similar) and make them smaller. The speed and ease in which waste can be compressed into a manageable form makes every aspect of handling more effective and thus, more friendly to the bottom line. Neat and tidy bales not only reduce your storage space, it also reduces your transportation cost because you can certainly load more cardboard bales into a container or truck, as compared to the loose ones. Recyclable materials nowadays carry a definitive dollar value; hence efficient handling of these waste materials is increasingly important. In the early days, balers were commonly a farm machinery used to compress cut and raked crops into compact bales for easy handling, transport, and storage. Over the years, balers have taken on an.. In the early days, balers were commonly a farm machinery used to compress cut and raked crops into compact bales for easy handling, transport, and storage. Over the years, balers have taken on an increased role as the business world takes a more environmentally-friendly approach and waste recycling becomes the norm. Most localities have laws regarding how to transport and dispose of large scale manufacturing waste, and balers help companies meet these regulations by compacting their waste into an acceptable form. This helps create an eco-friendly waste solution. Industrial balers nowadays come in all shapes and sizes, and they have all manner of characteristics depending on the type of materials they bale. 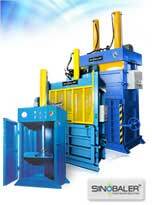 These waste compactors are generally made of steel with one or two hydraulic rams to compress the material loaded. That is why some call these balers as hydraulic baling press. It can be used to compact various types of reusable resources and waste, such as office paper, corrugated cardboard, plastic, foil and cans, textile waste, natural and animal fiber, and so on. 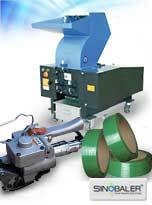 Manual balers are typically in vertical style with smaller footprint, and very simple to operate. Such baling machine type is suitable for companies with space constraint and lower volume demand. 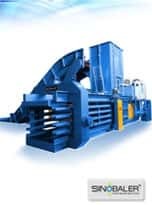 Other hydraulic baling presses designed to handle large daily quantities of material are usually the horizontal range of baling equipments, with minimum labour demand as the entire feeding, compressing, tying and bale ejecting process can be fully automated.